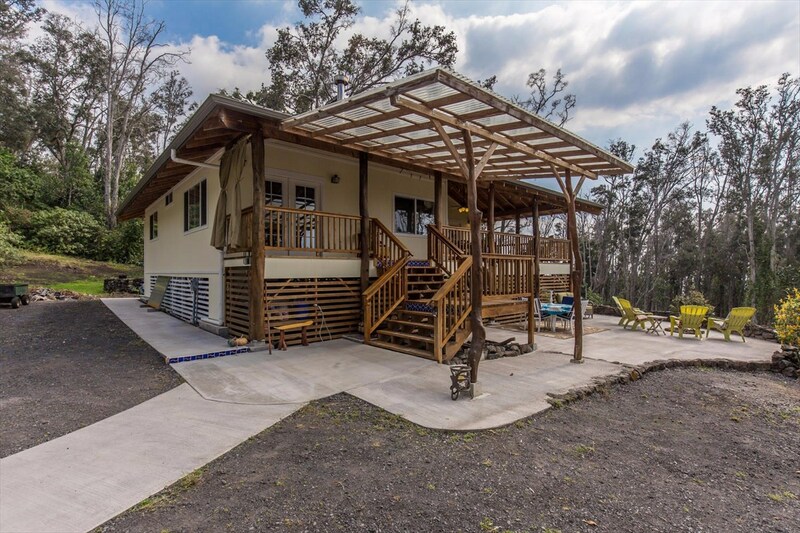 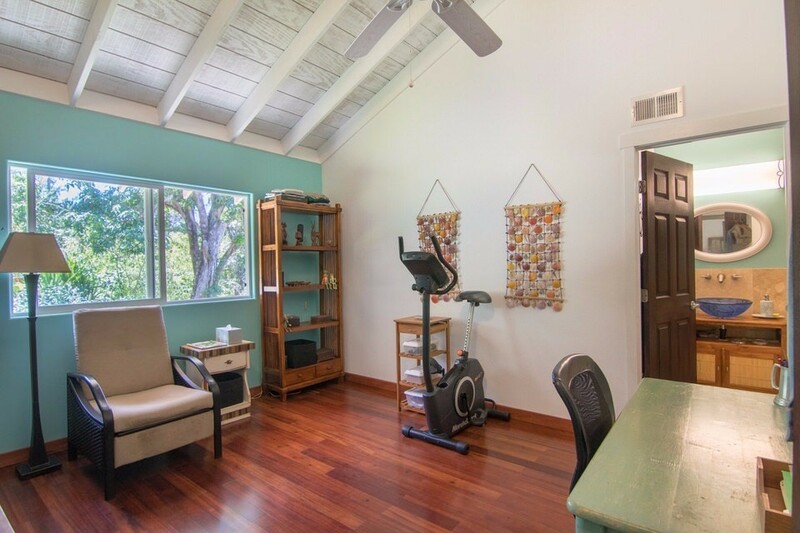 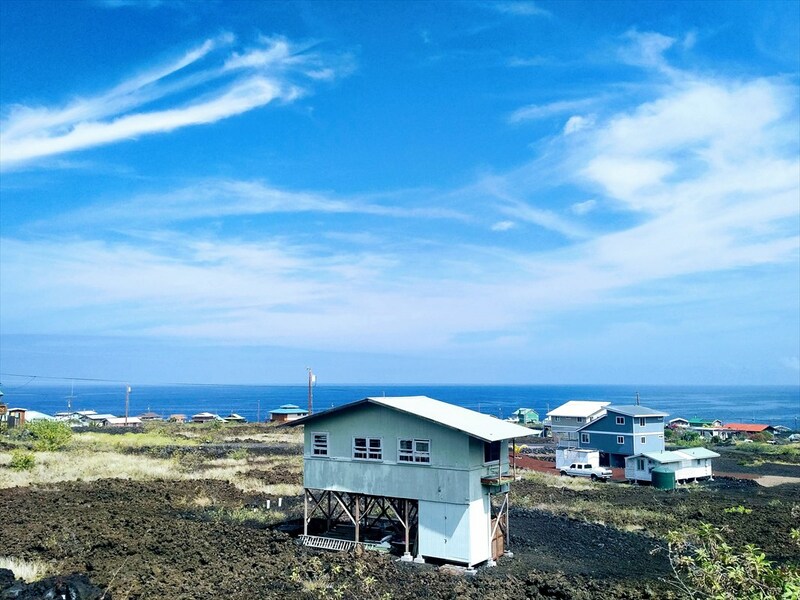 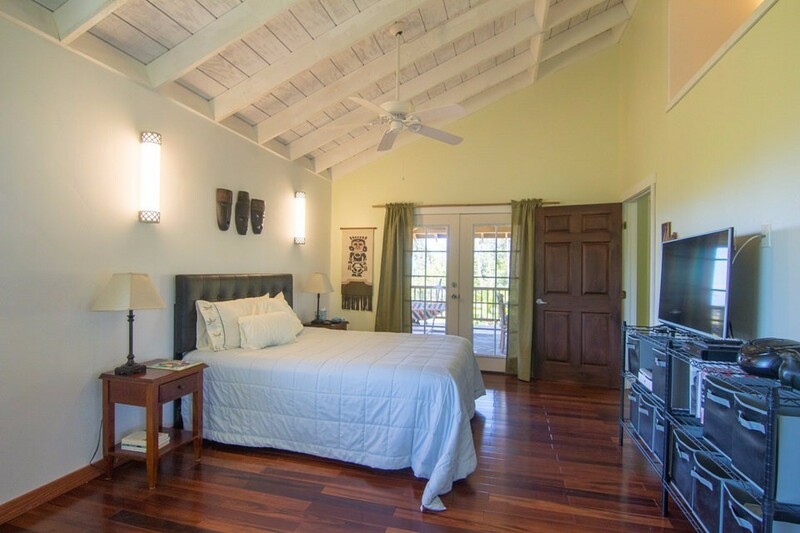 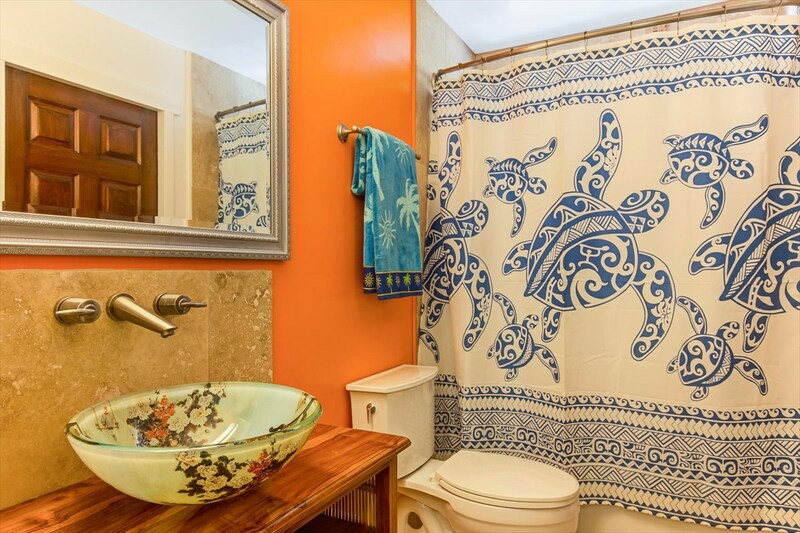 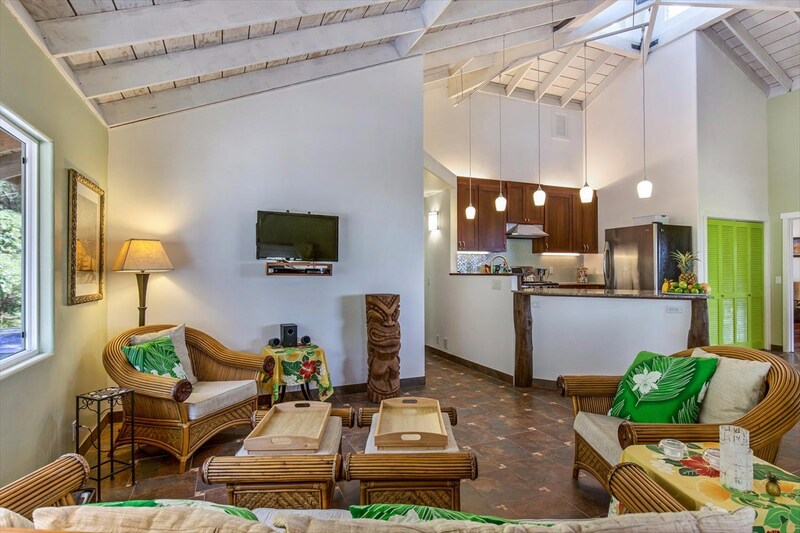 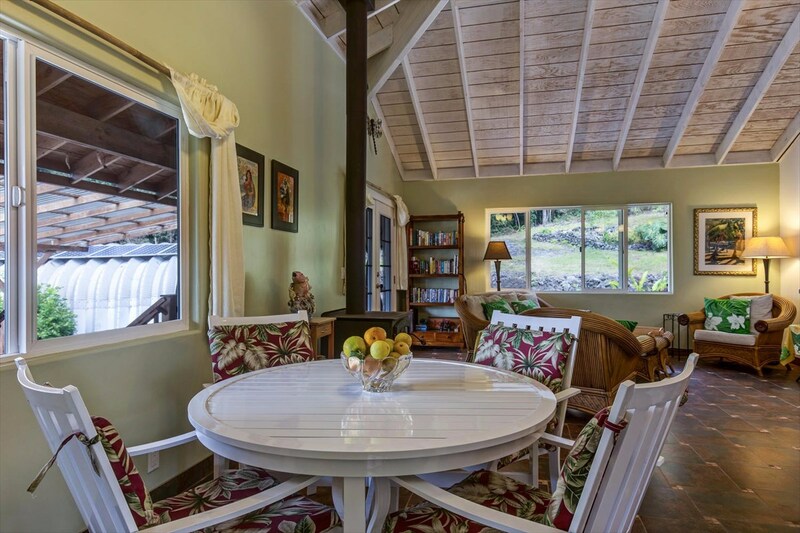 A 3 bed/3bath private, sustainable, and luxurious custom home on 5 acres of land in South Kona offered turn-key with all quality furnishings and appliances. 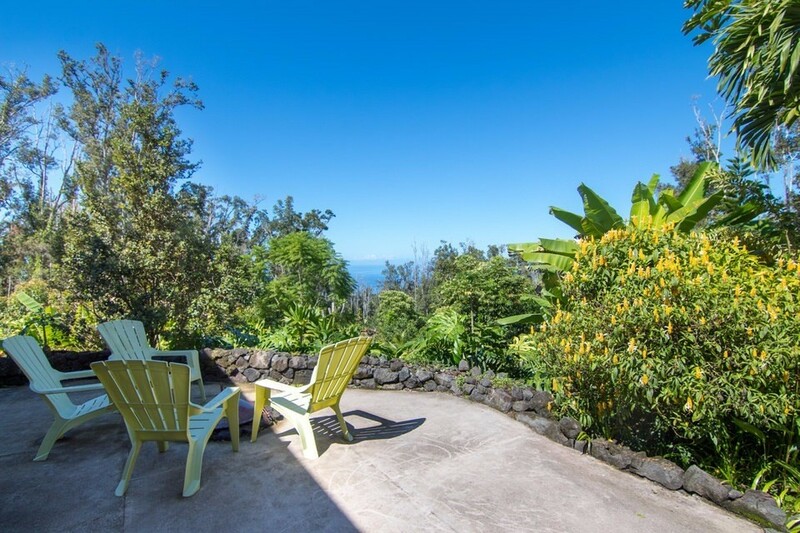 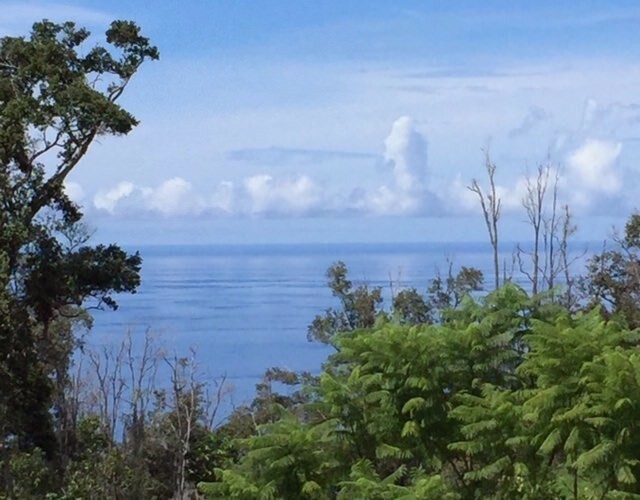 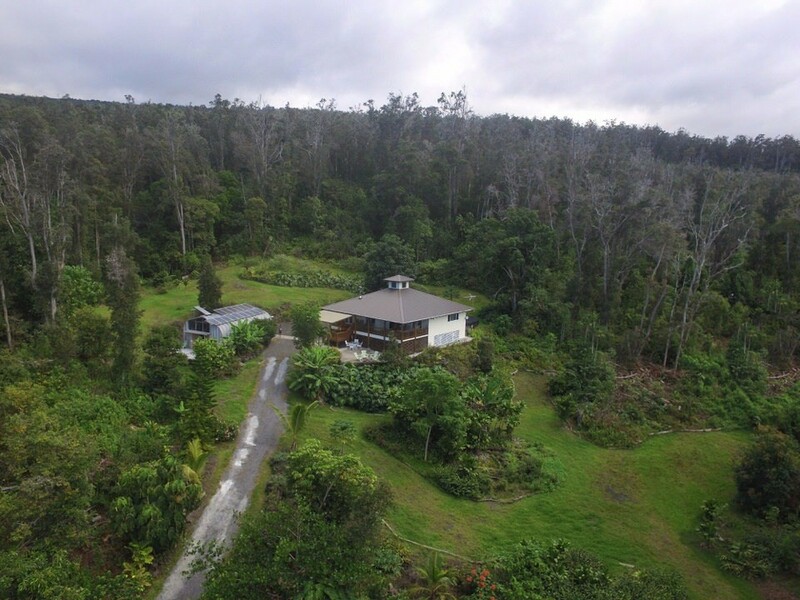 This property is a part of the Ohia Malu subdivision and enjoys ease of access from Mamalahoa Hwy on a carefully maintained private subdivision road. 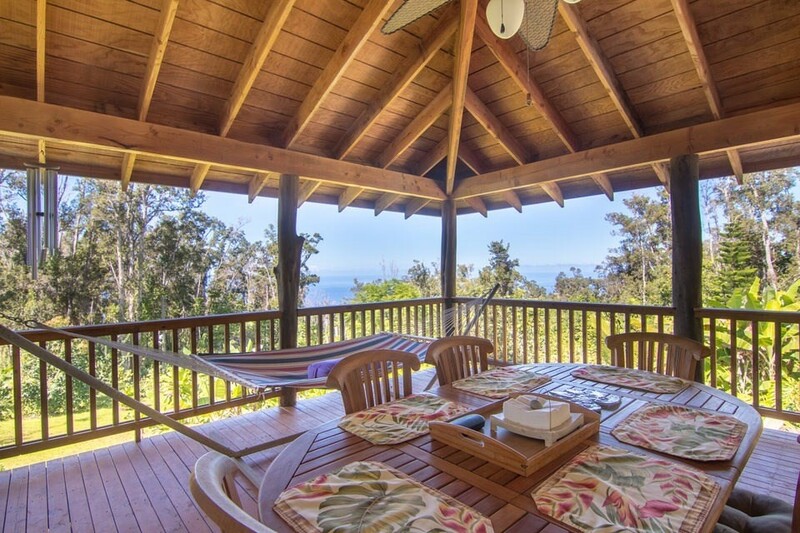 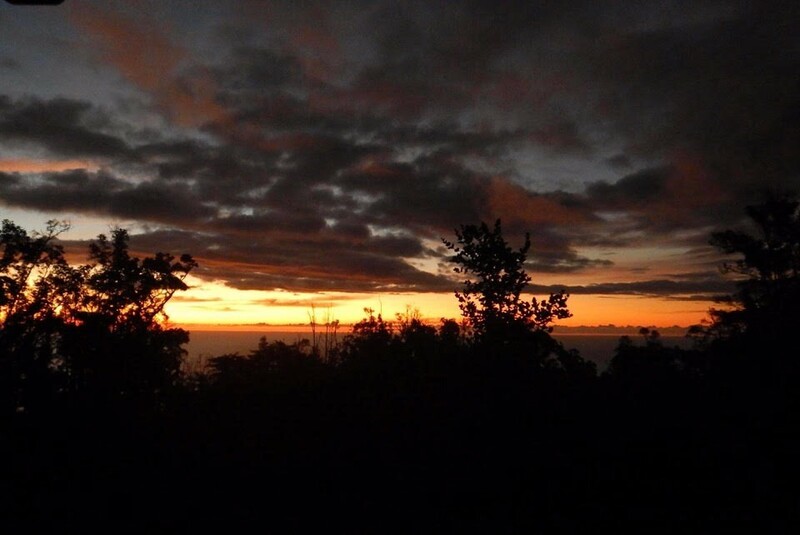 Nestled in an old growth Ohia forest, the land enjoys unmatched privacy with ocean and sunset views filtering through the trees. 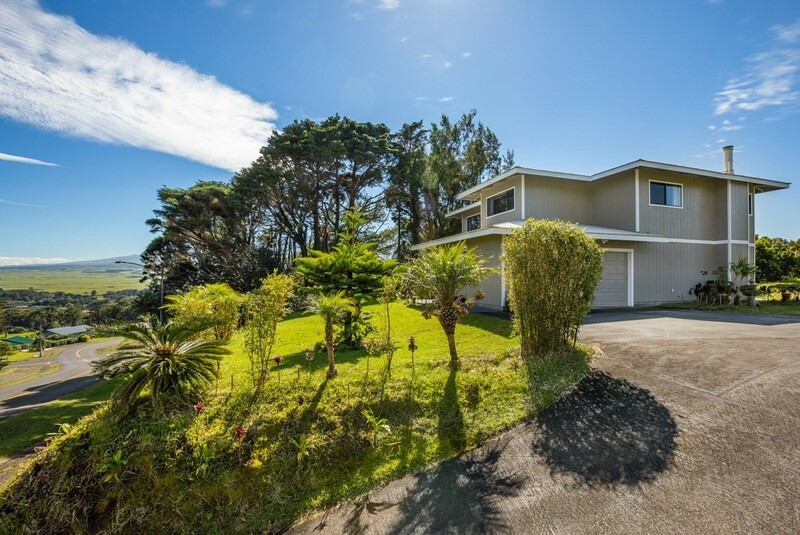 The home was finished in 2011 with impressive detail of construction and thoughtful design. 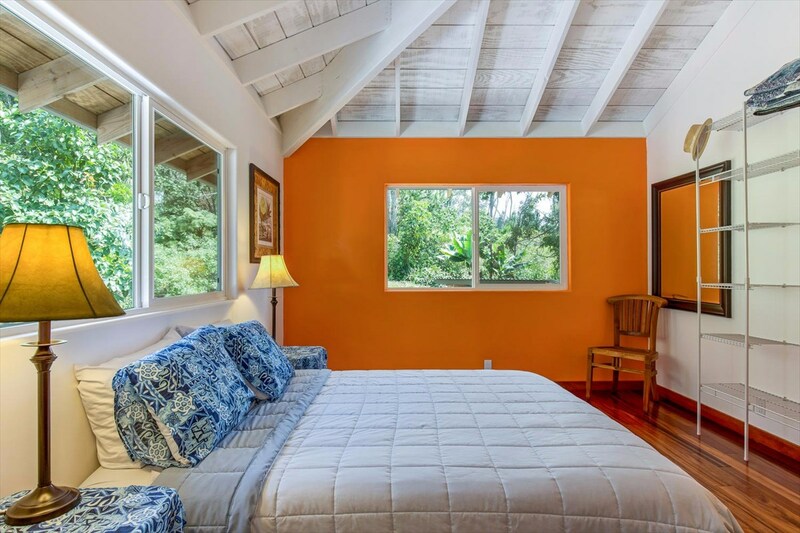 -Soaring open beamed, vaulted ceilings in every room and a cupola in the great room both for natural light and air circulation. 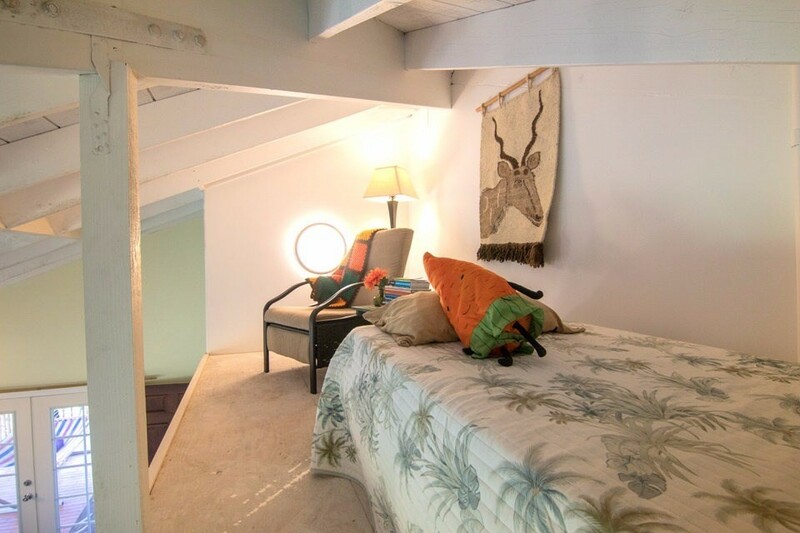 -Ample storage space both under and inside the house. 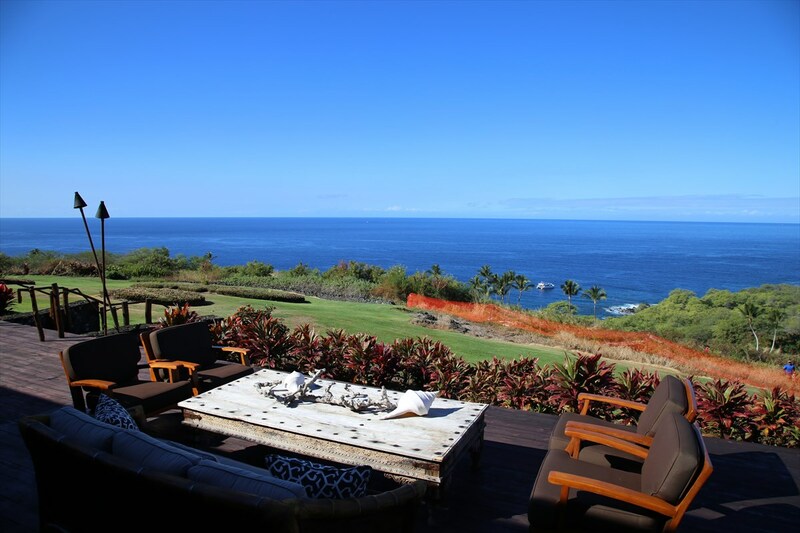 -Custom built rock walls and tasteful landscaping including many of Hawaii?s unique crops (see attached Flora/Fauna document). 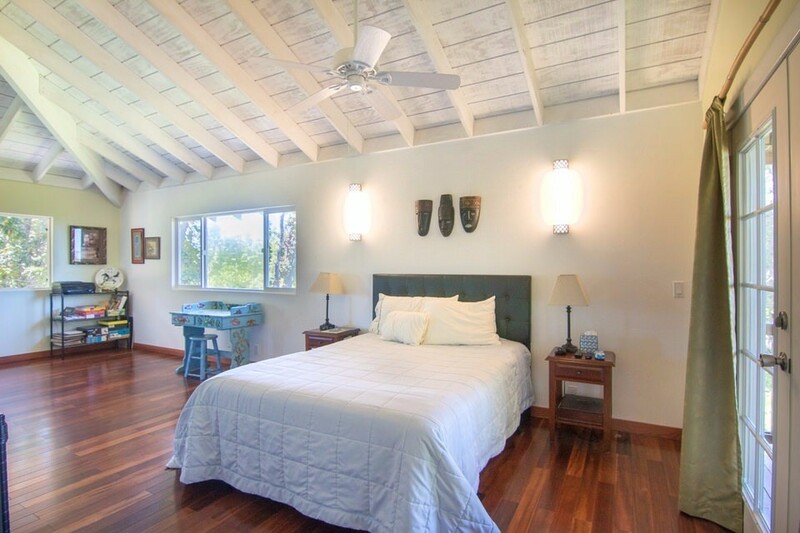 There are striking tiger wood floors throughout the bedrooms and unique custom tile in the great room. 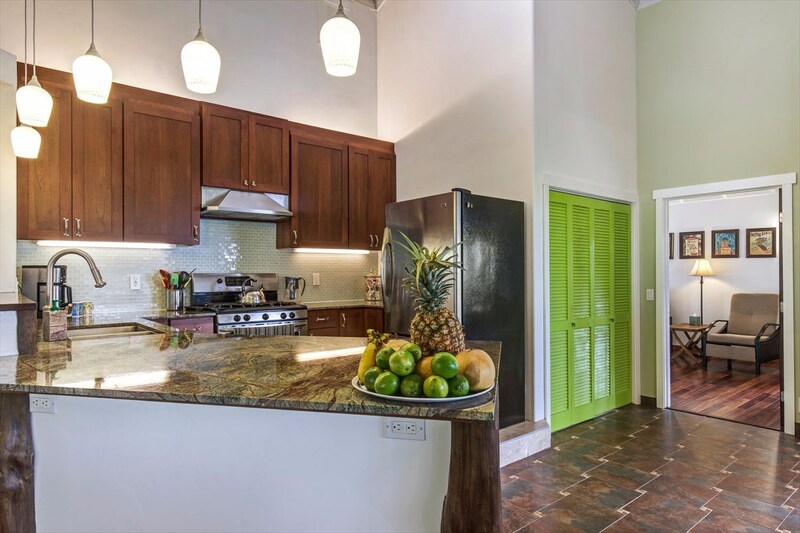 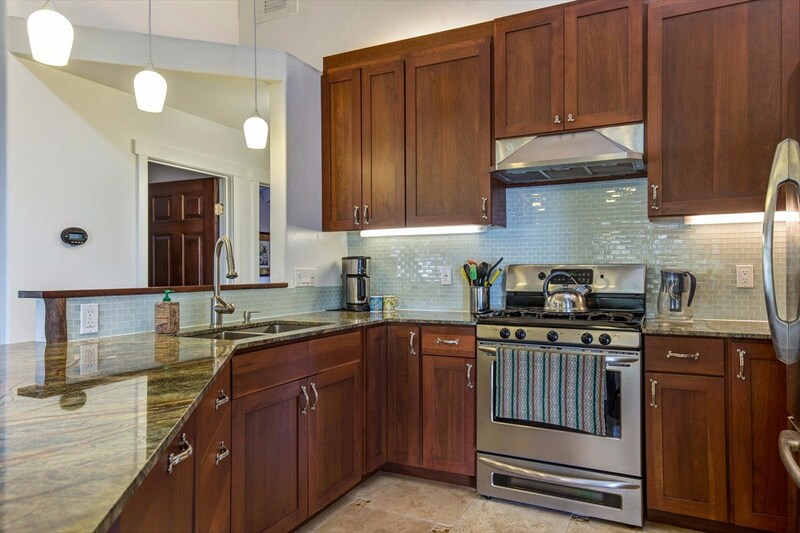 The kitchen is decked out with amazon marble countertops, travertine floors, cherry wood cabinets, and top of the line appliances. 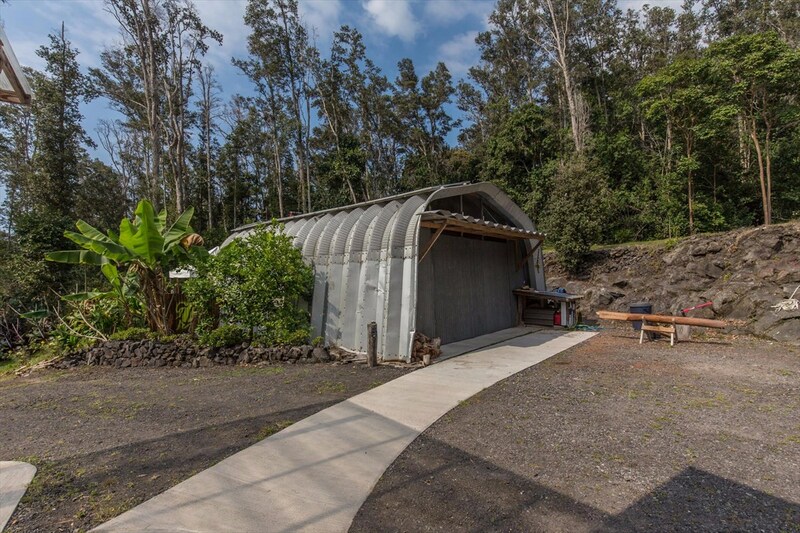 The property is completely sustainable with 15 solar panels and 8, 12-volt gel batteries, propane tanks, and a 10,000-gallon catchment tank. 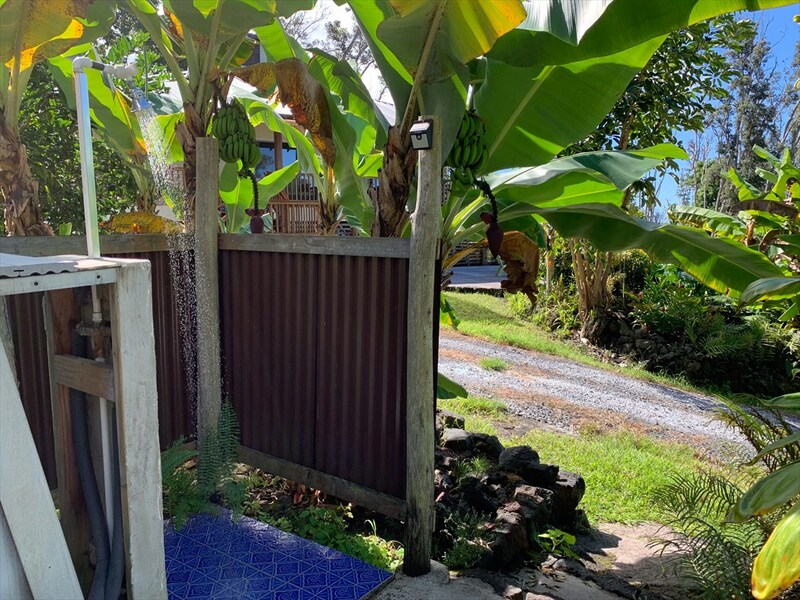 NO monthly utility costs! 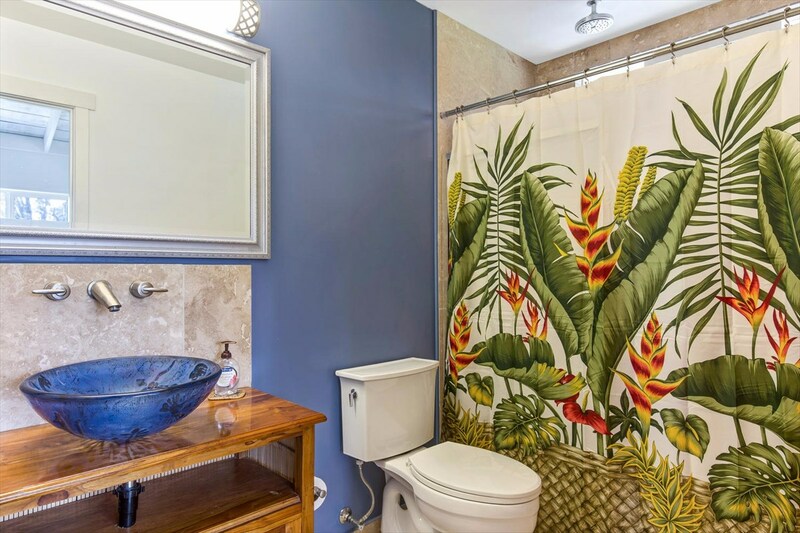 Minimal maintenance! 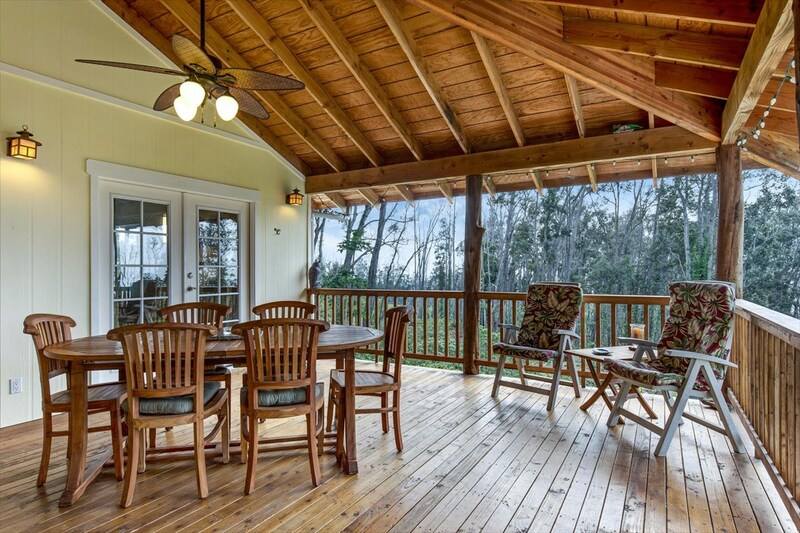 Perfect part time private island retreat or a full time residence unencumbered by monthly utility bills. 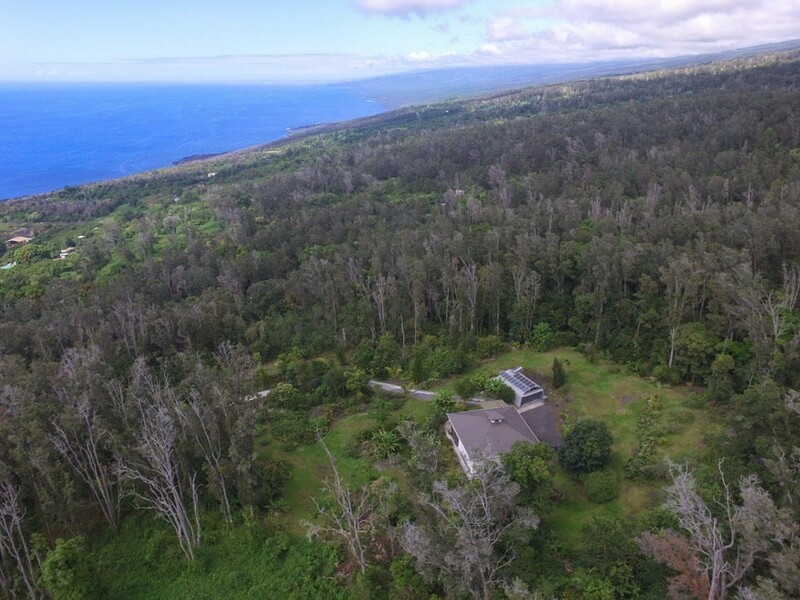 There?s plenty of useable land for growing coffee, avocados, or even building an additional dwelling. 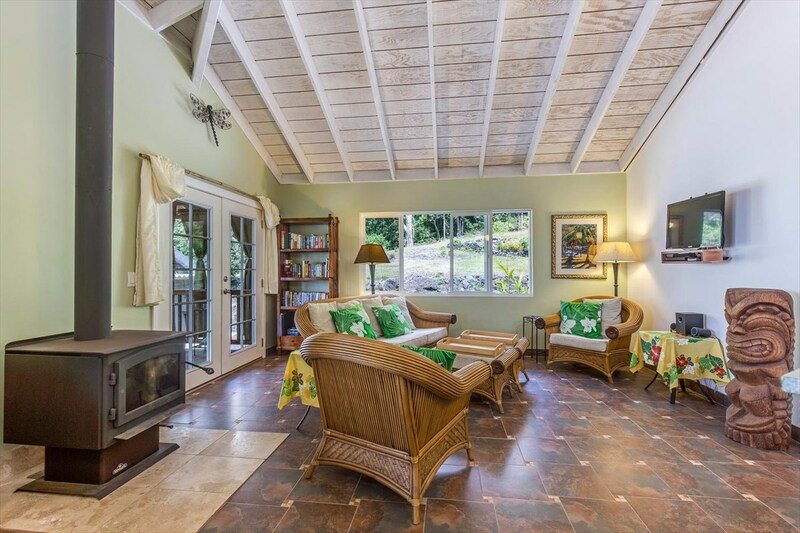 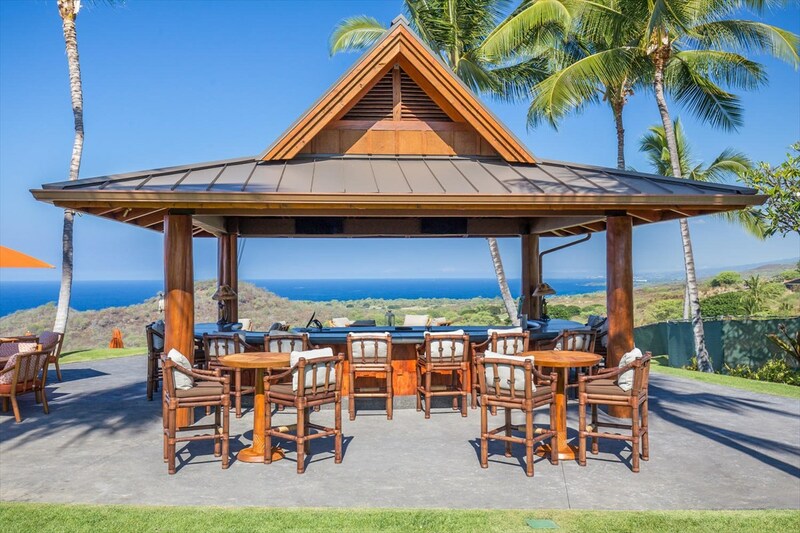 This property is a gem; offering a truly picturesque Hawaii life of sustainability, while styling with finishes suitable for a life of luxury. 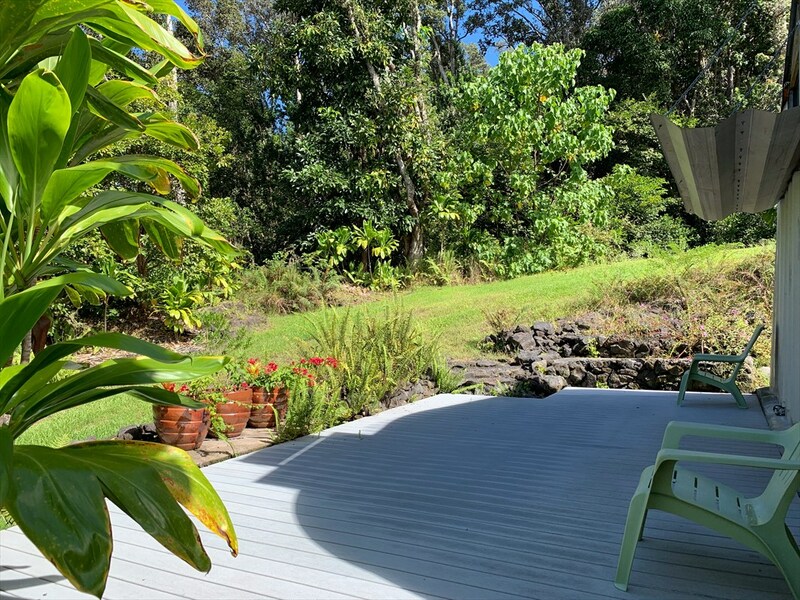 Agrmt of Sale,Cash,Conventional,Exchange,Purch $ Mtg. 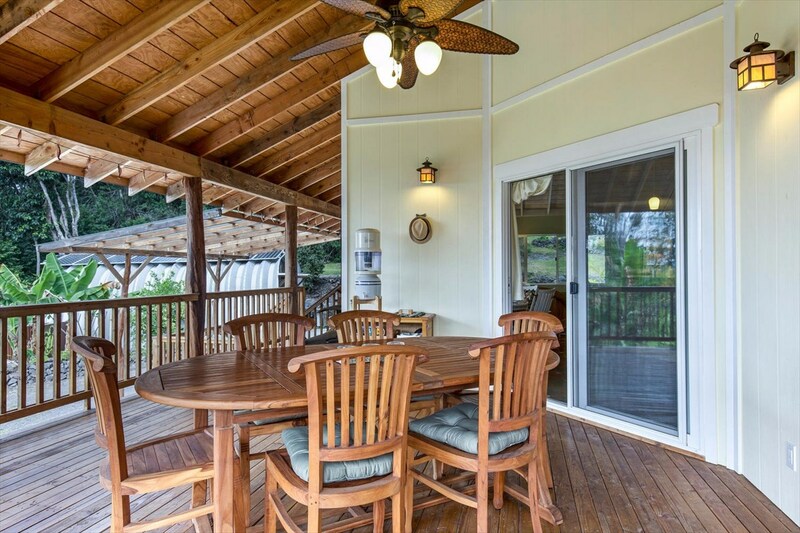 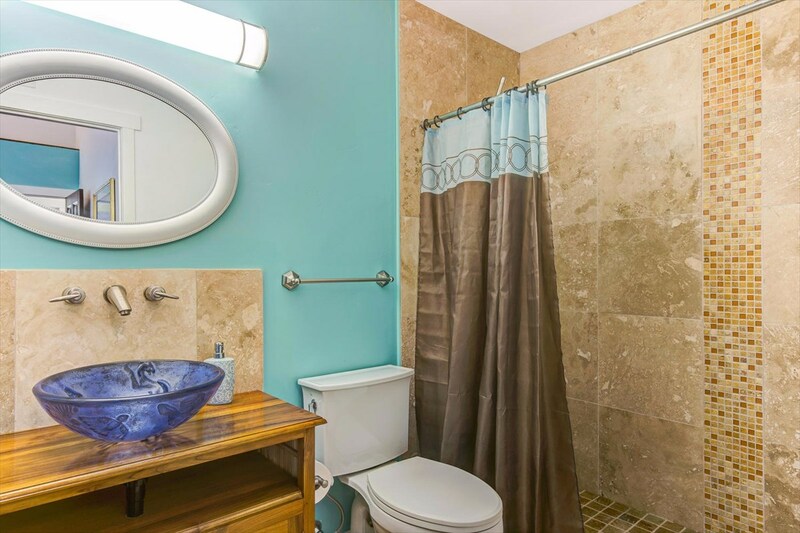 872510 Luana Pl, Captain Cook, HI.